Thirty percent of organisations expect to do more work through outside third parties in 2017. However, third parties are responsible for 75 percent of foreign bribery schemes, making these engagements rife with risks that can’t be ignored. A strong third-party risk management programme will help your organisation make smart choices when it comes to engaging with outside business partners. 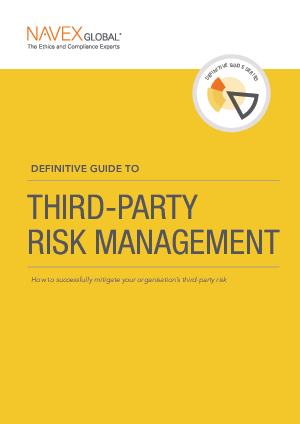 The Definitive Guide to Third-Party Risk Management gives you insight, advice and examples to help your organisation recognise and address third-party risk.